* Now featured in Racquet Magazine! 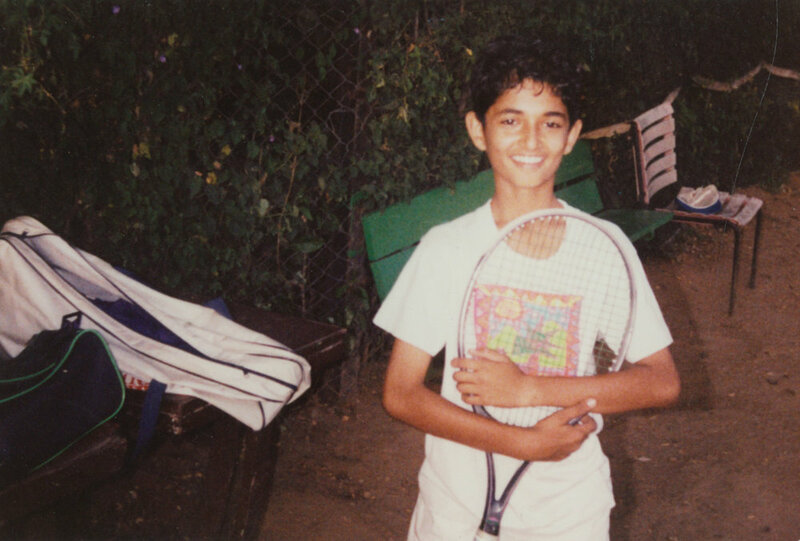 I've been playing tennis since I can remember, and grew up hitting on the sand-courts of The Poona Club in Pune, India. Yes, I said sand, not clay, but more on that later. The Poona Club is a private club and employs ball boys. This is a common practice at clubs in India, although it's rare elsewhere. But the ball boys have another job: they double as groundsmen for the tennis courts. 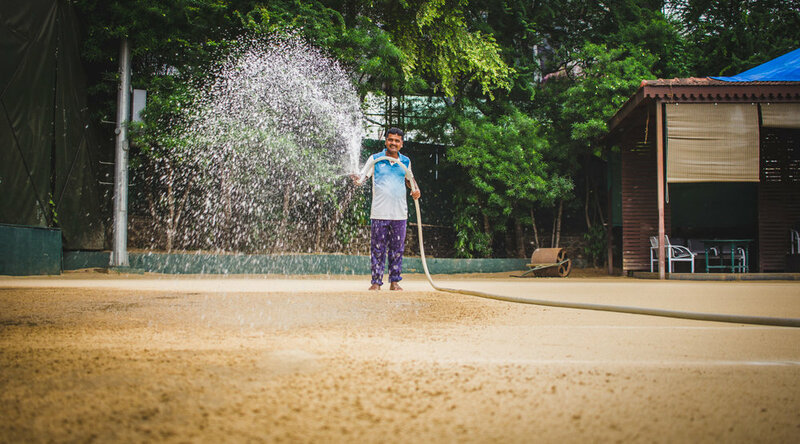 Each afternoon, they arduously and meticulously prepare the sand courts for the day's play. I've known many of the ball boys since I was a kid, and this photo essay is a tribute to their hard work. 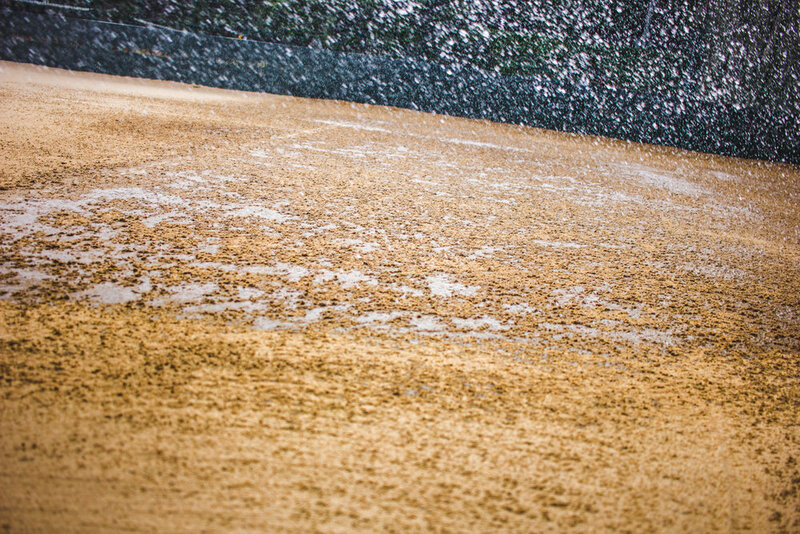 The court is watered daily to prevent it from drying out and becoming slippery. 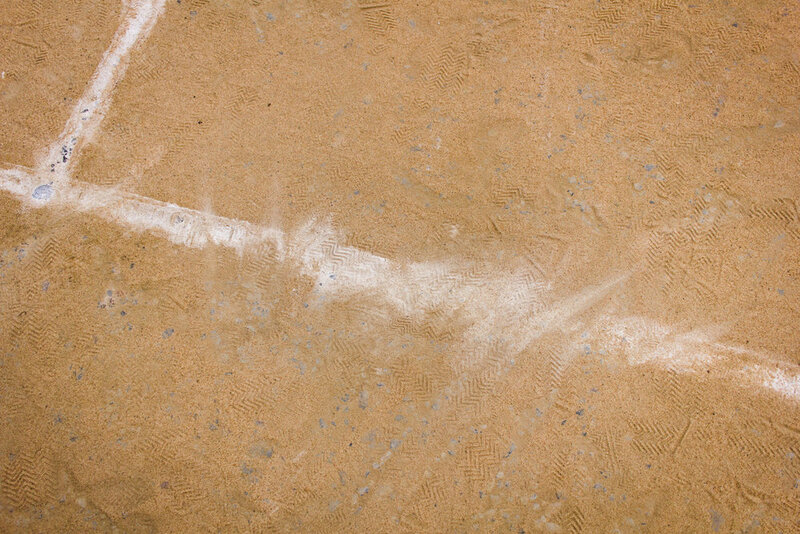 Even though they look like clay-courts, the topmost layer is a fine beach sand. Players can slide on it, just like clay, but the courts play a little faster and with a lower bounce. 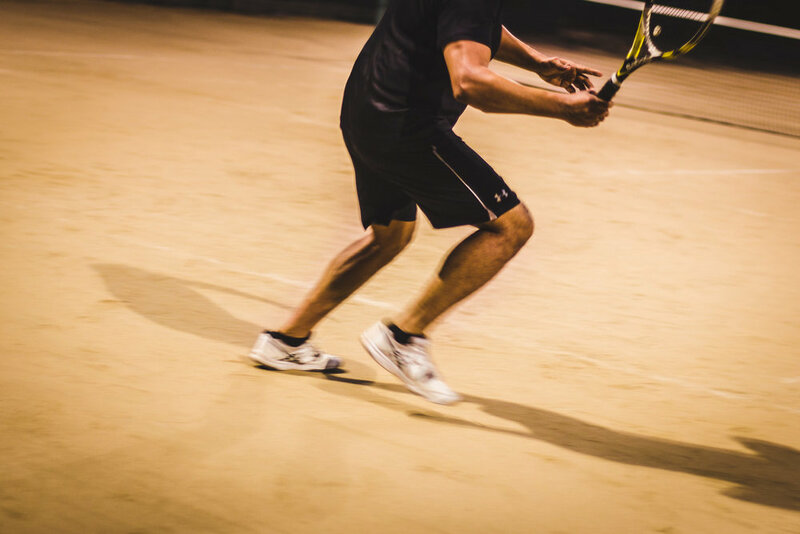 The surface favors court-craft instead of pure pace or topspin, so you see a lot more touch and finesse. Drop shots, lobs, slices. Old-school tennis. The wet sand is brushed to smooth it out, and then compacted with a heavy roller. 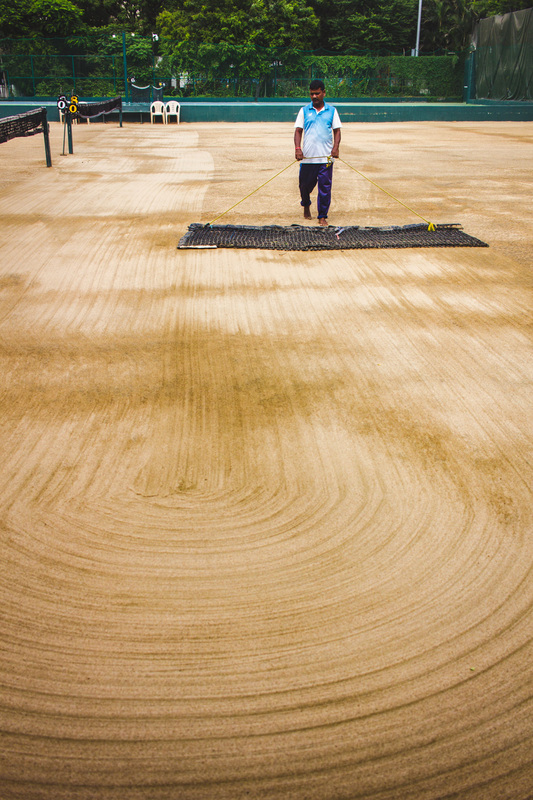 The initial creation of the court is a science in itself, and spearheaded by the "marker", or head groundsman. The marker supervises the crushing of several feet of rock, followed by a six-inch layer of reddish-brown, iron-rich murrum soil, and topped off with two inches of sand brought from the beaches of Goa and Gujarat. 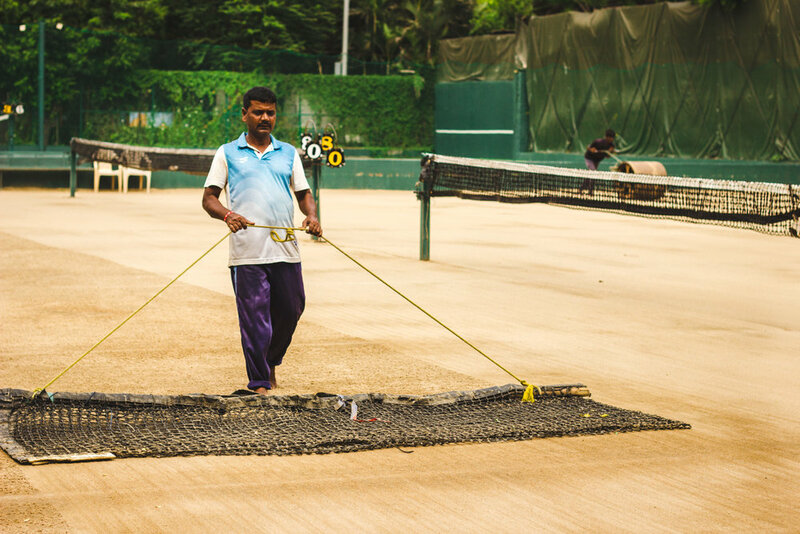 Even with constant maintenance, the courts need to remade, from scratch, every five years. 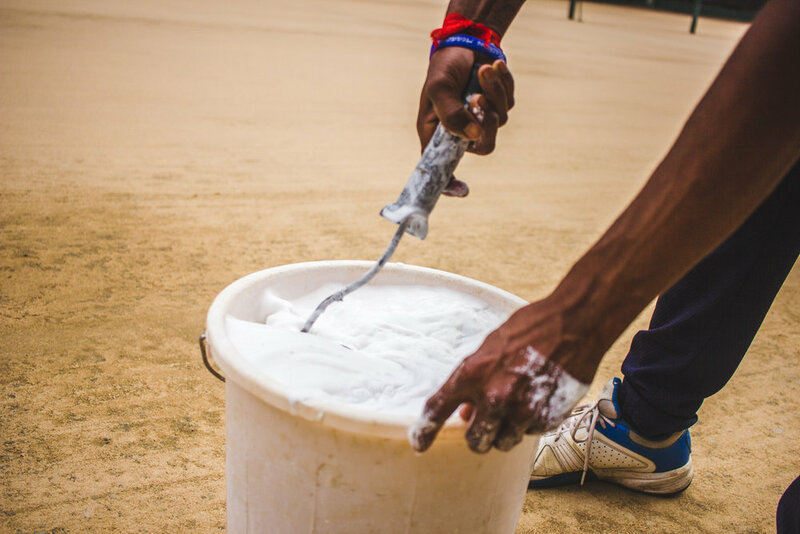 The lines are drawn by hand, using a mixture of chalk and water. The ball boys' handiwork is gradually swept away through several hours of intense play. The entire process is repeated every day, and takes two hours. I've lived away from Pune for more than twenty years, but still make the trip home about every year, and one of the highlights is visiting the courts and catching up with the ball boys. Over the years, we've formed friendships, and I look forward to trading updates and tennis tips with them. And, of course, the sand is always immaculate and ready for play thanks to the work of this incredible team.